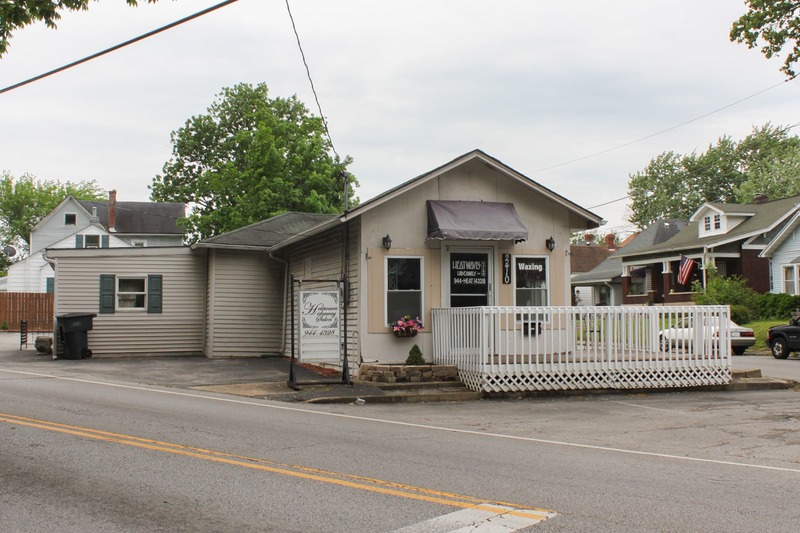 Commercial Real Estate Auction — Harritt Group, Inc.
1920’s Bungalow in high traffic intersection of Shelby, Slate Run & Beharrell Avenue zoned C1a Limited Local Business ideal for neighborhood type shopping and service facilities. One of the few commercial properties located in the quaint east end neighborhood near the Spring Street corridor at the intersection of Shelby, Slate Run & Beharrell Avenue. Property includes 1164 square foot bungalow with 3 rooms including kitchen/utility area, 1/2 bath, central air and heat with large parking lot on triangular lot currently used as salon and zoned C1a Limited Local Business. Perfect for many uses! C1a Limited Local Business This district is designed to accommodate neighborhood type shopping and service facilities offering direct services to customers. This district is important to the economic welfare of the community in placing convenience and impulse goods shops close to the consumer. This is a highly restricted business center permitting a limited group of uses. No signs may overhang the front lot line. Spring Street to Silver Street or Charlestown Road to Slate Run Road to intersection of Shelby & Beharrell Avenue.